The Swansea Triathlon took place on Sunday 28th May, in Swansea with almost 1000 athletes starting the race. This is a sprint triathlon where athletes swam 750m in the SA1 dock, cycled 20k on closed roads around the city centre and ended their race with a 5k run crossing the finish line in Castle Square to great crowds of supporters. 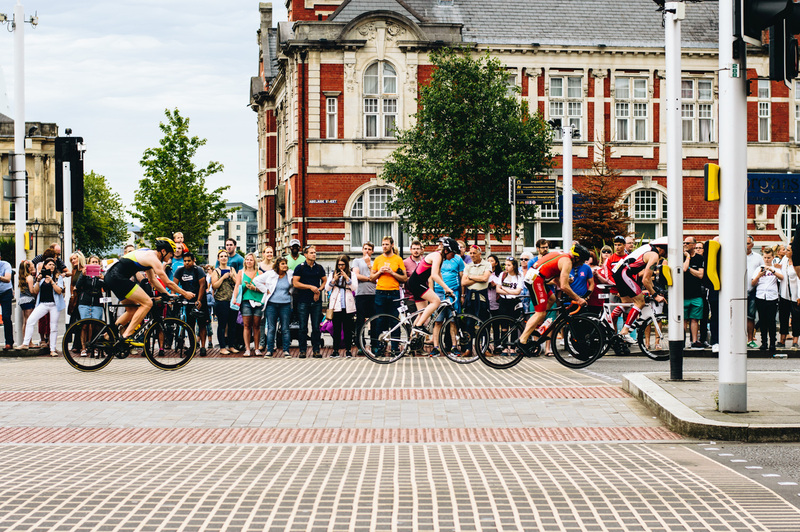 The top 3 male winners of the Swansea Triathlon were Alex Matchett with a time of 55 minutes and 58 seconds, Deri Stewart second with a time of 58 minutes 28 seconds and third Ben Bartlett finishing with a time of 58 minutes 44 seconds. The top 3 Female winners of the Swansea Triathlon were Gwen Kinsey with a time of 1 hour, 5 minutes and 20 seconds, Victoria Baker second with a time of 1 hour, 5 minutes and 24 seconds and third Hannah Johnston finishing with a time 1 hour 5 minutes and 46 seconds. The Swansea Triathlon will be back on the 20th of May 2018. In the meantime this year Activity Wales Events have The Long Course Weekend on the 7th, 8th and 9th of July. The Wales Triathlon 29th of July, Saundersfoot Sprint 9th of September and Gower Triathlon 16th of September and Mumbles Triathlon on the 7th of October.